Their eyes welled up as children’s mortal remains were kept at Machad St Antony’s Church for the public to pay their last respect. 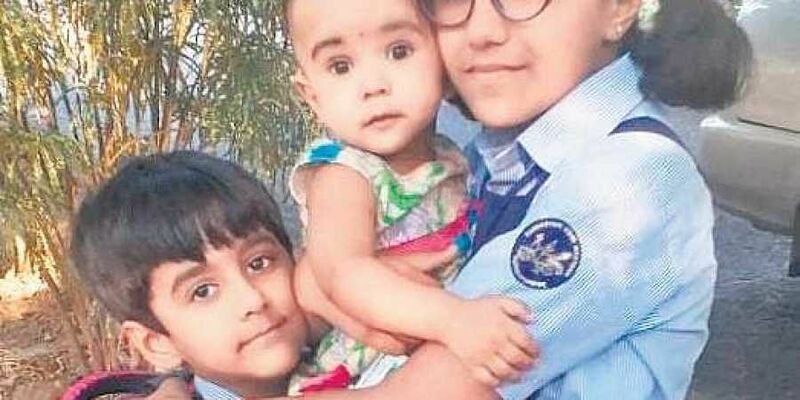 THRISSUR: Friends, relatives and neighbours bid a tearful adieu to Danfilis, 10, and Salsmiya, 2, who died when fire gutted their house late on Thursday night at Malakka in Thekkumkara panchayat near Vadakkenchery. Locals, especially neighbours, are yet to recover the from the tragedy. Their eyes welled up as children’s mortal remains were kept at Machad St Antony’s Church for the public to pay their last respect. The fire that killed the children also left their father Dantos, 47 and mother Bindu, 35 severely injured. Their elder sibling Selesfiya, 12, who was rescued by neighbours, is still to recover from the mental trauma of the accident. “I still remember Selesfiya’s face, when she came out from the house in panic,” said Varghese, a neighbour and a family friend. “I was at Dantos’ house and returned home only 15 minutes before the incident. When I heard the explosion, I ran back to the house. Since the front door was locked, I went to the rear. Dantos was trying to douse the fire with a water pipe. He urged me to save his kids who were sleeping inside, while Bindu and Selesfiya managed to come out.” Soon more people from the neighbourhood came forward, followed by Fire and Rescue team. “Once the fire was doused, we saw the charred body of two kids on the coat,” he added. Dantos, who suffered 90 per cent burns, is fighting for his life, while Bindhu has crossed the critical stage. The investigation is led by Kunnamkulam ACP T S Sinoj and Wadakaknchery SI P S Suresh. “It has been confirmed that gas leak caused the fire outbreak. Evidence suggests that Dantos was trying to transfer LPG from a cylinder in the kitchen to the one in his car. He must have placed the cylinder in boiling water to help transfer the gas quick. But it leaked and the heated gas caught fire and burned the room which had no windows,” said Sinoj.